Package deal consisting of PHDS 11-20V impact drill and a 32-piece bit set. PSCS 11-3,6V Screwdriver + 32 Piece Bit Set - Everything ready at hand and directly to start! 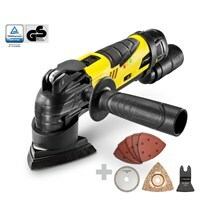 Package deal consisting of the PHDS 11-20V and the wood and metal drill bit set. 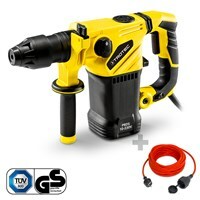 Package deal consisting of PHDS 11-20V impact drill and a 15-piece wood drill set. Package deal consistion of the PHDS 11-20V hammer drill and the HSS metal drill bit set. 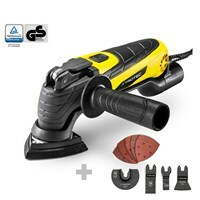 The professional drill and chisel hammer PRDS 10-230V and a professional extension cable. 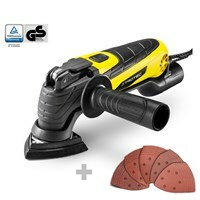 Package deal consisting of the PJSS 10-230V jigsaw and a 20 m professional extension cable. 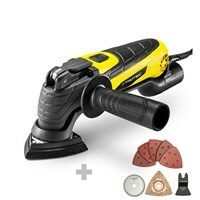 Package deal consisting of the PJSS 11-230V Jigsaw and a 20 m professional extension cable. The flexible all-rounder for demanding renovation work: PMTS 10-12V + 13 piece accessory set. The flexible all-rounder for demanding renovation work: PMTS 10-12V + 30-piece accessory set. Package deal consisting of the clear water submersible pump TWP 9005 E incl. extension cable 15 m.
Package deal consisting of the wastewater submersible pump TWP 11025 E incl. extension cable 15 m.
The powerful multi-talent for renovation, extension and conversion: PMTS 10-230V.